Camping Zum Jone-Bur är en camping i Monschau, Nordrhein-Westfalen. Campingen har platser med stängsel, utan skugga och platser med lite skugga. Det finns möjlighet att hyra husbilar. För den sportige semestervandraren har campingen guidade vandringsturer och olika cykelleder. Vem vill inte efter en hård dag slappna av i ett beautycenter. Campingen förfogar över ett knattebad. Att laga sin egen mat är inte alltid nödvändigt, för på campingen finns en restaurang (mindre urval). Det är möjligt att komma ut på internet, därför att det finns en trådlöst internet-punkt och på 80% av campingarna kan man komma ut på internet med egen laptop. Denna inspektör gör varje år ett besök på Camping Zum Jone-Bur och inspekterar campingen för ca 200 faciliteter och för andra förekommande punkter. Inspektören är en medarbetare från ACSI och arbetar inte för campingen. Everything clean though shower cubicles design meant it was difficult to keep clothes dry. Three happy days at Monschau. Staff very helpful. Food excellent in the restaurant. Four vans from The Eriba Owners Club (GB) all nicely laid out in the reserved pitches we asked for. Arrived at site as person was leaving for lunch, they gave us 2 shower tokens and card for barrier and left. We only found out that you really have to put the nose of your van right up to the barrier to get in, if they had stayed to see us in, this would not have happened. Not a problem on a sunny day, but it was hailing and cold. The pitch was on grass, which was okay. Water was still cut off, so used our water carriers. There is a walk to the rear of the site to get to Monschau which is really pretty. If we were in the area we would go again, but would be aware of the barrier and water in winter. We visited the Christmas Market in Monschau for a couple of hours by coach in 2011 and decided to go back with our motorhome using this campsite. We were there for a couple of days in early December 2012. The motorhome service point was not available as it had been prepared for winter. This was not a problem as we take clean and grey water carriers in winter. It was very cold and snowed whilst we were there making this already beautiful area even more so. The winter shower block was wonderfully warm as were the showers and hot water. The restaurant served super food at very reasonable prices. The owners were very friendly and helpful. If you are going to the Christmas Market I would highly recommend this site. You can walk through the wood or catch the ' park and ride bus' to the market. This was a well managed site. The facilities were good and clean. The showers cost 1 euro but were good and hot, so didn't mind paying. There was hot water in the basins in the shower cubicles and also for washing dishes. Site was busy when we arrived but everyone was friendly and the site emptied quite a bit after a few days. The area is lovely forested hills - some good cycling on an old railway - fantastic surface which goes through the forest and extends for about 60 miles. The nearest shopping is in Imgenbroich - there is a good choice and Monschau, a beautiful historic town is about a mile away. If we were in the area again would definitely stay there. Vill du boka campingen Camping Zum Jone-Bur eller få mera information? Det går bra med nedanstående uppgifter eller via campingens webbsida. 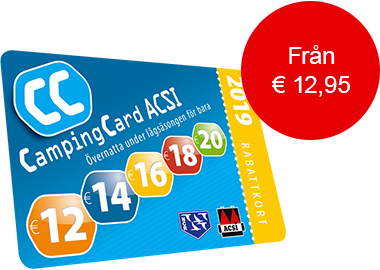 ACSI Eurocampings skickar din informationsförfrågan till "Camping Zum Jone-Bur".